​It’s rivalry week for the University of Cincinnati Bearcats football team. 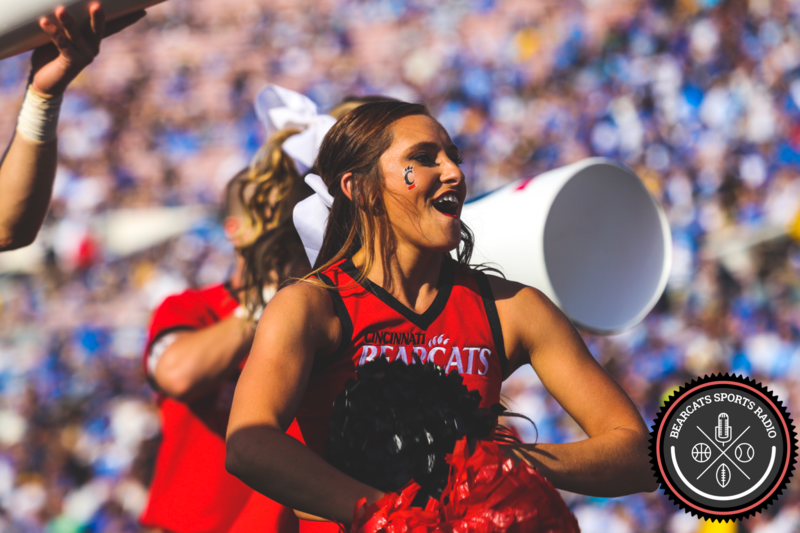 This Saturday at 3:30 pm ET on ESPNews the Cats face the Miami Redhawks at Nippert Stadium. This marks the 121st Battle for the Victory Bell. UC has won 10 straight against Miami (OH). The Redhawks lead the all-time series. Although Redhawk fans have not had much to cheer for since the days of Ben Roethlisberger, this is indeed a rivalry game and brings out the best Oxford, Ohio has to offer. Just look at last year on the road. UC needed some late game heroics after 4 turnovers and a bit of luck with Hayden Moore to come out with a 37-33 W. And in 2014 UC won 31-24. In discussing this week’s matchup with former Bearcat linebacker Solomon Tentman, he described the game as “Miami’s Super Bowl.” Don’t be surprised if the Redhawks pull out all the stops and a few trick plays. They have nothing to lose. Playing Miami has also proven costly. Just last year Gunner Kiel was knocked out of the game. Shaq Washington took a scary helmet-to-helmet hit. And who can forget the unfortunate career ending injury cornerback Adrian Witty suffered. Indeed, 3 of UC’s most pivotal players were injured in the Miami game last year just 5 days before the squad had to travel to Memphis and continue conference play. ​Miami is 0-3 on the year with losses to Iowa (45-21), Eastern Illinois (21-17), and Western Kentucky (31-24). Miami is led by 3rd year head coach Chuck Martin, who is 5-21 so far. UC has won 29 straight home non-conference games at Nippert Stadium, dating back to 2003. ​Look for UC to get their rushing attack back on track this week. We expect the Bearcats offense to resemble the Purdue game, not the Houston game. Miami doesn’t exactly have a top-5 overall defense. We expect Tion Green and Mike Boone both to average 5 yards per carry. Hayden Moore also knows what to expect heading into this game. He is not going to be unsuspectedly thrust into action like last year. ​Miami is averaging just 130 yards on the ground, but 285 yards through the air. They are also giving up over 30 points per game and 5 yards per carry against teams that are not the cream of the crop offensively. Sophomore QB Billy Bahl is completing 56% of his passes. He has already been sacked 11 times. James Gardner is the Redhawks leading receiver and has big play ability. Although he has just 12 receptions on the year, 4 of those were for TDs and he averages 20 yards per catch. The Redhawks have a running back by committee, but average just 3 yards per carry. ​Miami likes to slow down the game, with an average time of possession of 35 minutes per game. However, they are converting just 37% of 3rd downs. One interesting piece of college football history – the first game between UC and Miami was on December 8, 1888 in Oxford, Ohio, and was the first college football game played in Ohio. The original Victory Bell also disappeared for approximately 16 years in 1930 before it magically reappeared in Miami, where it remains today. ​We predict the Victory Bell stays put in the Lindner Center where it rightfully belongs. UC stays healthy and wins 35-21 in a good old-fashioned slobberknocker.